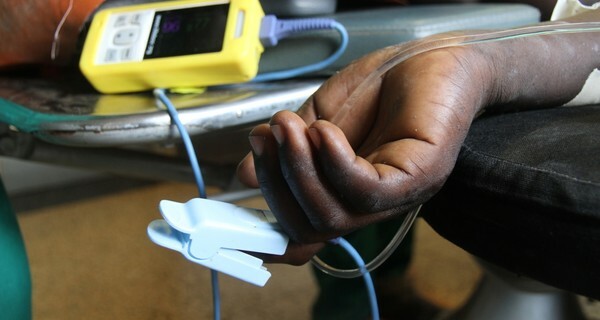 Lifebox is a compact, robust, intuitive and, at $250 delivered anywhere in the world, extraordinarily cheap hand held pulse oximeter — that is, the small box that anaesthetists clip to a patient’s finger to check the levels of oxygen in their bloodstream when they’re under anaesthetic. Before Lifebox, these critically important monitors could typically cost upwards of $2,000 for an operating room: a price tag that means 70,000 operating theatres in the developing world make do without them on a daily basis. The risk to human life is so grave — threatening six million people a year in Africa and Latin America alone — that the World Health Organization (WHO) and World Federation of Societies of Anaesthesiologists set about designing their own version of the kit, intelligently built for a challenging environment – and through collective bargaining on the behalf of hospitals massively drove down the unit price. The charity is led by Atul Gawande, the surgeon and New Yorker magazine writer. It was Gawande who led development of WHO’s ‘Surgical Safety Checklist’, an operating room ‘to-do’ list of 19 straightforward items that have been shown to cut the surgery mortality rate by 50% and complications by up to a third, and which has been adopted as standard operating procedure by thousands of hospitals around the world. The oximeter is the only item on the list that costs money. The risk of dying from anaesthesia, where oximeters are a standard bit of kit, in America is 1 in 200,000. Elsewhere, it can be as high as 1 in 200: a third of eastern European and three quarters of African patients undergo surgeries, mostly related to childbirth, without this simple safeguard. The oximeter measures the levels of oxygenation in the blood by comparing the blood’s relative absorption of infrared and ordinary red lights. An alarm signals the slightest shift. ‘Before the introduction of oxygen monitors it wasn’t surgery that was dangerous, it was the anaesthesia. People would suffocate because they were not getting enough oxygen and you wouldn’t know it till their heart stopped. Surgeons would look up and say, ‘why has the blood turned blue?’ That still happens,’ says Gawande. As well as being cheap, the Lifebox is built to last: it can withstand drops of up to 1m, is compatible with local mains power uses rechargeable batteries and universal probes, and comes with simple education manuals in languages from Russian to Arabic and Chinese so that anaesthetists can help train colleagues in safer surgical practice and carry out maintenance themselves.